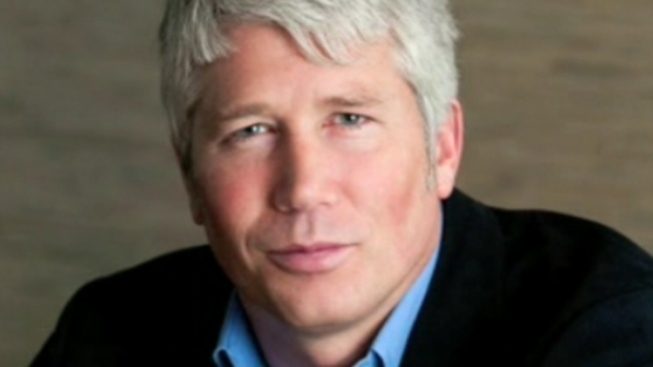 Bay Area author Po Bronson is used to having his works skyrocket to the top of best selling lists. Given the early buzz, his latest book, Top Dog, co-written with Ashley Merryman, could very well end up there, too. Bronson recently sat down with NBC Bay Area's Raj Mathai to talk about what research says about the science of winning and losing. As a coach for his son's soccer team, Bronson saw firsthand the different ways kids handle the pressure of competition. "We had put together all these really talented third graders and they started playing in fourth grade and a lot of them had been the best before and now they're playing the other best teams in Northern California and not all the kids handled it the same," Bronson said. "Some of the kids could really respond to that pressure, and other kids could not handle that sense of having to compete at all. I was curious why. What was going on in their psychology, how were they raised, their physiology? I wanted to try and understand these differences in performances in competitions." Bronson categorized these types of people as "worriers" and "warriors" and DNA dictates whether you're one or the other. "There's a genetic element which affects how dopamine is cleared in the frontal cortex of your brain. If you have the worrier gene, when you're not stressed, in normal everyday life, just going about your life, getting your work done, you have a significant cognitive advantage," Bronson said. "It works out to about ten IQ points, as long as there's no stress." Author Po Bronson has done extensive research on competition. As we all know life can be stressful, and that's where warriors thrive. "You see the warriors' brains work optimally and the worriers brains don't work as well," Bronson said. Now, take a look at your ring and index fingers. It may sound hard to believe, but researchers found that most successful entrepreneurs had ring fingers 10 to 20 percent longer than their index fingers. "It means you're more prone to risk taking, you respond to competition, you're comfortable being aggressive, and it also means you have spacial ability" Bronson said. "Now the question is why?" It all comes down to science. Researchers say testosterone lengthens the fetal fingers while estrogen stops their growth and it's a marker of hormone response. "When we are challenged, when we have to compete, we get a surge of hormones in our bodies." Bronson said. "So you have a permanent lifelong responsiveness to challenge." Knowing this no doubt will make you check people's fingers. Bronson does. So, when Bronson meets a CEO, does he look at their hands? "I saw Gavin Newsom, the former mayor of San Francisco and he's a friend, and I shook his hand, I handed him a copy of the my book, and I said let me see your hand, and he said what are you doing?" Bronson recalled laughing. "If you look at pictures of President Obama's hand, Mark Zuckerberg's hand, you can look for it yourself, it's amazing," Bronson said. The book, Top Dog, goes on sale Tuesday. Watch our full report in the video player at the top of this page.